Cheltenham Gold Cup fourth Native River is likely to be fitted with blinkers if he takes his chance in the Bowl at Aintree in a couple of weeks’ time. Colin Tizzard’s chaser did win the Grade 1 Novice Chase at the meeting three years ago on good to soft ground and will be hoping the rain arrives on Merseyside. In today’s opener at Newbury Strong Pursuit is likely to be all the rage having made such a promising reappearance when third at Sandown returning from a 463-day lay-off. Oliver Sherwood’s chaser travelled like the best horse in the race and I am convinced he is well handicapped at present. The same, however, can be said of both Joe Farrell and Ziga Boy (2.05) and the latter gets the each way vote representing the inform Alan King yard. The grey (12/1 with BetVictor) was pulled up returning from a 760-day absence over C&D at the beginning of the month when the ground was softer than ideal. With that run under his belt I would be disappointed if he didn’t run a big race from the front. Friend Or Foe (2.40) had a choice of three engagements this weekend and connections have decided on the handicap at Newbury. Paul Nicholls’ juvenile made a winning British debut when making most at Taunton at the end of December and his opening mark looks workable. The selection is 2/1 at BetVictor, but he is a 4-y-old who I am sure is capable of better going forward and has the scope to jump a fence in time. Jonjo O’Neill takes off a valuable 5lbs from the back of Annie Mc and she could easily bounce back after a below par run at Exeter last month. Nicky Henderson has saddled the winner of this valuable mares’ event three times in the last decade and he saddles She Might Bite this afternoon who was still travelling well when brought down three out at Ludlow last time. She must go close, but preference is for Alan King’s Sixty’s Belle (3.15) who is 12/1 at BetVictor and can reward each way support (4 places). The mare has been slowly getting her act together over timber and stayed on well at Wincanton last time when second to Henderson’s Loverherandleaveher. Today’s more galloping track should suit, and an end-to-end gallop would help given I feel she will get further in time. I’m going to give Humble Hero (4.25) another chance in the Novice Hurdle for the Skeltons. The selection was just touched off at Ludlow last time when too keen for his own good, but he represents an inform yard and was a more than useful handicapper on the level for William Haggas. Noel Fehily’s final ride as a jockey will be aboard Get In The Queue (5.00) in the valuable Sales’ Bumper. The selection must give weight to all of his 13 rivals, but he is unbeaten in two starts and it would be fitting if Fehily – one of the most talented jockeys of his generation – went out on a winner. The ITV cameras are also at Kelso and I have been impressed by the hurdling of Ingleby Hollow (2.25) and I hope he can run a big race in the valuable 2m Handicap Hurdle for David O’Meara who has booked Aidan Coleman for the ride. 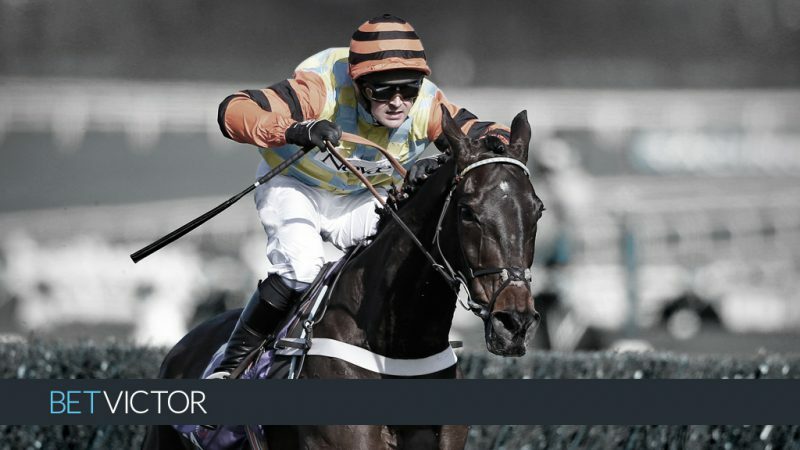 The each way selection is 7/1 at BetVictor who are betting 4 places on the 13-runner contest. Ashutor (1.40) can be the first winner from Bangor-on-Dee on Sky Racing with the north Wales outfit jumping ship along with neighbours Chester and Ascot from Racing TV. The selection only got as far as the first at Kempton last weekend but had shown decent novice hurdle form previously for Paul Nicholls. At Lingfield I hope to see Sundiata (4.20) make a winning handicap debut for Charles’ Hills with Richard Kingscote taking over in the saddle. The filly has been slowly away on all three starts to date which tempers confidence, but I am sure there is a race in her.